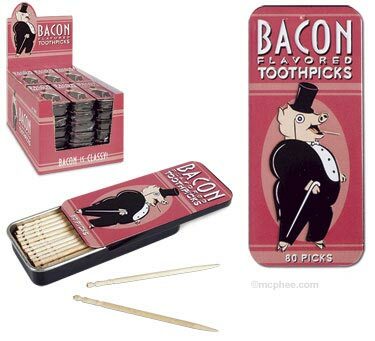 I probably can’t really class these as a gadget but they are too wacky not to post about, Bacon Flavored Toothpicks. So next time you have a bit of cow stuck between gnashers, use a pig flavored stick to get it out. You can buy 160 bacon flavored toothpicks for $4.95 from Archie McPhee.